Using dark paint colors properly can be hard, but we’ve got a few tips. Working with dark paint colors can be a bit daunting. 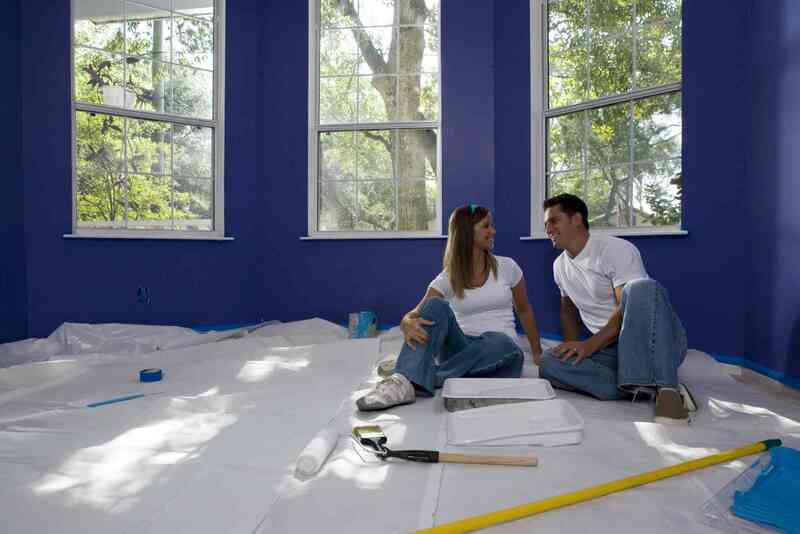 Most people just aren’t sure how to use darker paint colors properly without making their rooms look strange. We’ve covered the bizarre psychological effects that darker colors like black can have before, so it’s no surprise that dark colors can be difficult to pull off. Here at Columbia Paint Company, we want you to have the full range of colors to work with without fear. Luckily, we’re here to offer some basic info on darker paint colors so you can be sure to use it properly. Some people fear that dark rooms can feel smaller and even cave-like. Don’t succumb to the fear that dark colors will reduce your room size. Deeper colors can actually blur the edges of walls, which creates an illusion of an endless room. If you’re still worried, consider adding lighter furnishings and linens to your color scheme in order to create just enough contrast that your space looks like. If you’re intimidated by using darker paint colors, you can always start small. Use it for accents, or even for smaller rooms. A smaller, dark room can feel like something secret and precious. Experimenting yourself, or meeting with an interior designer, can make the painting process a lot less scary once you actually start doing it. If you end up painting an entire room with dark colors, using lighter paint as accents can draw attention away from how dark the whole room is and make it feel complete. Paint a chair brighter colors or add a few light throw pillows and your room will look whole. The walls will start to disappear and act as a backdrop for whatever little accents you want to throw in.